The US Open is upon us, and frankly this is going to be a wide-open Tournament this year with numerous top named golfers really at the top of their game. 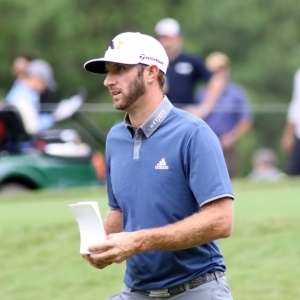 This list includes world ranked #1 Dustin Johnson, who just walked away with the St Jude Classic in Memphis last week by 6 strokes and was really never challenged or pushed on Sunday in the final round. No player has ever won the US Open after winning the week before, but he will be on the leaderboard no doubt. He is installed as the early favorite at 9-1 to win and was the 2016 US Open Champion. Shinnecock Hills is a true test of Golf. It was the host in 2004 of the US Open and it is more of a Links style course, and unlike 2004 when Retief Goosen won it (-4) in and Phil Mickelson finished 2nd it has been narrowed and stretched since then. Also, the weather is predicted to be dry on Long Island, NY all week and weekend and that is not good news for holding greens well. The last US Open here only 2 players finished under par and were mentioned above, the rest of the field was over par. This is a shot makers course. Huge distance off the tee which many young players have, is not a huge advantage here as in other courses on Tour, although it has been lengthened since 2004 by over 440 yards. This course is an equalizer against the length advantage as you must hit narrow fairways and position the ball for approach shots. Greens hit in regulation and good putting, and a scramblers mentality around the greens on this course will determine a champion. Much of a narrative this week for Golf Channel as always, will be Tiger Woods. Yes, he has contended in some tournaments recently and is in the best shape in terms of his golfing skills in quite some time, but he has yet to win a regular season tourney this year, and in my opinion is a waste of money to wager on even though he is a 16 to1 odds bet in this tourney. He just cannot put it all together on a Sunday yet, and despite his success's over the years and 14 majors under his belt including 3 US Open's, I do not see him winning or being in the Top 10 at any point on the weekend. His last US Open was 2015, missed the cut at 16 over par and in 2004 in the US Open held on this course he finished 17th at 10 over par. Already a US Open Champ (2013), he has all the skills to win here and has a good short game, can drive accurately, and has the mentality to win big tournaments and the right temperament in which to manage his game, as well as being a Euro player who can play Links style golf. He is second in scoring average (69.3) on the PGA tour only behind Dustin Johnson, and a decent 50th in driving accuracy and 10th in putting which is going to be big around Shinnecock. He also is 20th in Greens in Regulation so he will have plenty of birdie putts. This could be his year and he will be hanging around on Sunday in my opinion in a position to win. What can you say other than if you leave the Worlds #1 ranked golfer out of the mix you are just not paying attention. Dustin can win any tournament he enters if his mind is right, just buried everyone last week in Memphis on a shot makers course at -16 and won running away by 6, and has every shot in the bag to get it done here. He is the favorite to win this year for good reason, won in 2016, and can hit a driving iron 290 yards and put himself in a position to make good approach shots to greens with a lesser club than most players on tour. No player has won the week before the US Open in a tourney and then won the US Open, but Dustin is a rare and talented player who has all the skills to win this tourney and he is dialed in. He has not finished out of the Top 17 in any tourney he has played in this year, is 1 st on the PGA Tour in scoring, and will be a factor come Sunday for sure. A major champion (British Open) and has some favorable key stats headed into this one, and we all know if he is dialed in can be deadly accurate with his irons. He is ranked #1 on the PGA Tour in Driving accuracy (uses a 3 wood the majority of the time) and also in Greens in Regulation and is ranked 3rd in tee to green. His putting can be inconsistent at times, but if he gets the flat stick going he could really be a factor down the stretch in this one. I simply have to take Phil here, with some merit I might add as s sentimental favorite, but he has won a World Championship of Golf in Mexico this year against the best in golf, is ranked 6th in the Fed Ex Cup Standings at his ripe old age which is impressive. Always a bridesmaid, never a bride at the US Open, which has haunted him his entire career, this is no doubt his best and perhaps only shot in his late 40's to win the elusive title as he has built his entire season around getting ready for. He is ranked 2nd on the tour in putting which is huge, but his inaccuracy off the tee box is a huge question mark and perhaps his downfall. He just finished 12th last week at the St Judes classic, and has 6 Top 10 finishes this year on tour which ranks him 3 rd on the tour, which again is impressive for a man amongst boys in his late 40's. His scoring average is ranked 9th on the tour but his driving scares me to make a big move on him here, 201st in driving accuracy and his greens in regulation rank is 140th, although his short game around the greens needs no introduction and makes up for it, and his is #1 on the tour in sand saves. I hope he wins it as I am a Lefty fan and I will be pulling for him, but it would take a lot of other players to play badly, along with some epic weekend rounds by Phil. This Aussie shows up in big tourneys and has the game to make a run here. He is tied for 3rd for most Top 10 finishes in 2018 and while nothing about his game stands out, he is just consistent. He was 9 th in Masters this year and in the mix for most of that. He was 27th last year in the US Open and 18th the year before and this course suits his game. He grew up0on this style of course and while this is a legit longshot, I have a sneaking feeling if he gets is tee box game going he can hang around on the weekend. You can catch all of Tony's MLB and WNBA Action daily at www.docsports.com All wares backed by Doc's 100% Pure Profit Guarantee. Get $60 worth of premium members' picks free .